This Post for Mediterranean Pizza with cauliflower crust is sponsored by Caulipower, but the content and opinions expressed are my own. This Mediterranean Pizza with cauliflower crust is low carb, delicious and, get this, comes together in under 20 minutes. 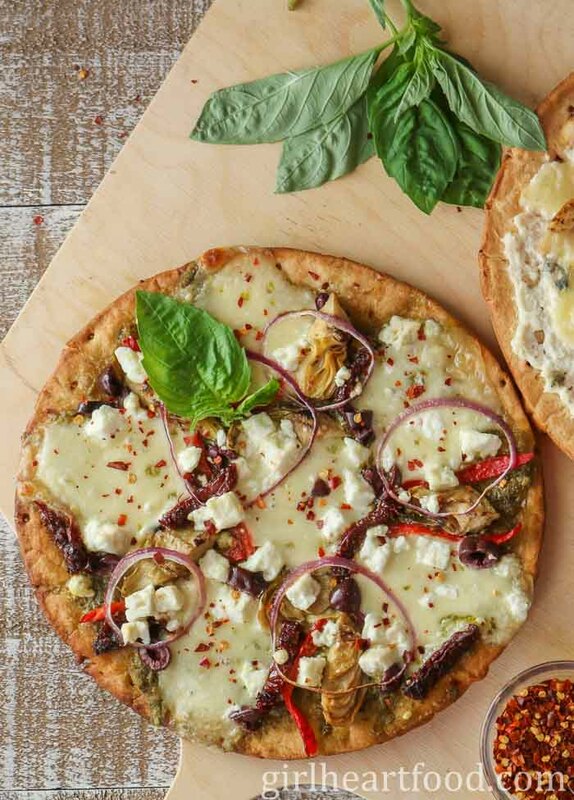 Topped with ingredients like fresh mozzarella, roasted red pepper, olives and chili, this healthier pizza recipe can be enjoyed any day of the week!